Peacock Alley Tiffany Cloud Bath Rug - Swatches may be available. 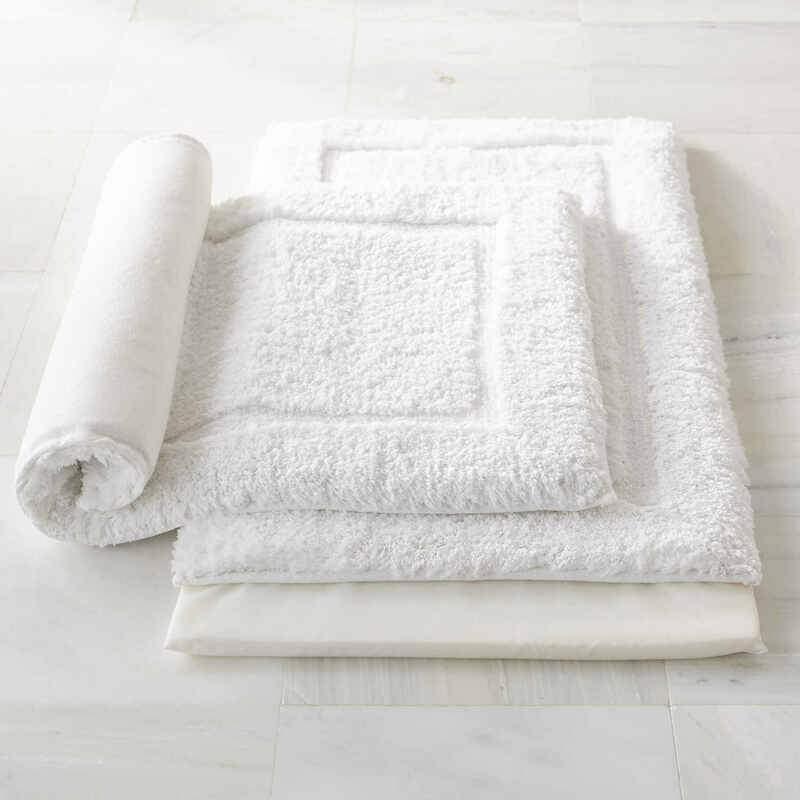 Peacock Alley took their popular Tiffany bath rug and added a removable, high density foam insert that repels water and is naturally antimicrobial. This rug boasts a durable loop construction, which makes it light, saves energy when washing and drying, and maintains its loft and softness. It may be the most comfortable bath rug ever. 100% superior, long staple combed cotton. Removable high density memory foam insert. Luxuriously soft, exceptional durable, naturally antimicrobial. Made in Portugal. Remove memory foam insert before washing and set aside. Machine wash rug cover with cold water and dry on warm setting or hang to air dry.